On the 23 of September, 2014 a judge in the Labor Court of Milan awarded compensation (pdf, translated from Italian) to a child on the theory that the hexavalent vaccine manufactured by GSK – which protects children against polio, diphtheria, tetanus, pertussis, invasive disease Haemophilus influenzae type B and hepatitis B – caused the child’s autism. Essentially, the Italian court vaccine autism ruling seemed to state that vaccines caused autism. The decision was based on an expert’s opinion that made several extremely problematic arguments, arguments that go against the scientific evidence. It has been criticized by the Italian scientific community (translated summary, pdf), and is, apparently, being appealed. This post explains the reasoning of the decision, and why it is fundamentally flawed. The Skeptical Raptor hates begging. He’d rather just get his meals from ripping apart the ignorance of pseudoscience. Before the advent of crowd-funding, like GoFundMe, we probably would have shut this website down, because the cost to run it is so high. We do feel as this website serves a function in the community as a resource to fight cult science, like anti-vaccination and anti-GMO pseudoscience. Every day, we check who links to an article here. We are always surprised when a legal article about vaccination, from Professor Dorit Reiss, gets a link from an Italian website. Maybe some Italian law student is looking for a way to figure out how to figure out a ruling of the Italian court system. Maybe an Italian parent heard a rumor about how Americans do things with vaccines, and gets clarification. This website is here to provide evidence and arguments to reject cult science and bad pseudoscience. That’s all. We need to raise funds to improve the experience. We get too many 404 errors when the servers get overloaded. The front page, though much better than it was just two years ago, needs to be modernized. The website needs to be speedier and more efficient, something outside of the skills of one 65 million year old dinosaur. And that’s only marginally a metaphor. Amazingly, we’ve raised about ⅙ of the funds that should be sufficient to get most of the things done. We need to move to a more powerful server. We need to clean up code. And we need to redesign the pages (probably the hardest thing to do). The feathery dinosaur doesn’t want to beg, but we can’t run this place alone. If you’ve found this place at all useful, throw a few shekels this way. Bars of gold are also acceptable. We’re not threatening shut down of Skeptical Raptor. We’d plot along as best we can. But it’s important to keep some of the articles here in the #1 hit parade of Google Hits for vaccines and other subjects. If you want to debunk “bananas cure cancer,” go ahead and google it. An article here is usually number 1 or 2 on Google hits. Please contribute whatever you can. Over the past few years, Italian courts have rule several times on the claims that there is a vaccine-autism link. As a result, I have written about a few of those cases, starting in 2012, where an Italian provincial court rejected all of the scientific evidence, and accepted Mr. Andy Wakefield’s fraudulent work as a basis of the decision. So, here we ago again with the trope that “courts confirm that vaccines cause autism.” It all started when I saw a Facebook meme (the lazy person’s way of transmitting information) that stated that some obscure Italian court rules that MMR causes autism. These memes are backed up by blog posts from the usual suspects claiming that courts are confirming that vaccines cause autism mostly based on a oft-ridiculed year-old Italian Provincial Court ruling. So now because an Italian court says vaccines cause autism (well, actually more specifically the MMR vaccine), we get to reject the mountains of evidence that state unequivocally that vaccines do not cause autism. If this were just a one-off issue with vaccine denialism in the Italian court system, we could all make mocking jokes about Italy, but apparently it keeps happening. Professor Dorit Reiss recently posted an article here about a 2014 ruling from an Italian court in Milan that awarded compensation to a child that was claimed to have developed a neurological deficit after receiving GSK’s hexavalent vaccine, which protects children against polio, diphtheria, tetanus, pertussis (whooping cough), Haemophilus influenzae type B and hepatitis B. Essentially, the decision was based on one so-called “expert” who seemed to think the tropes of the antivaccination world were scientifically based. Professor Reiss pretty much debunks the legal arguments for that case by actually reviewing the court ruling rather than accept the word of various biased blogs and “news reports” out there in the world. Of course, I’m not a legal scholar (nor do I play one on the internet), but Italy’s reputation as the center of legal interpretation of science is almost at the level of good comedy given its history. Italian court vaccine rulings would be great comedy if only it didn’t put children in harm’s way. Remember, a previous Italian provincial court decided that vaccines cause autism, by accepting Mr. Andy Wakefield fraudulent claims over the consensus of science–vaccines do not cause autism. 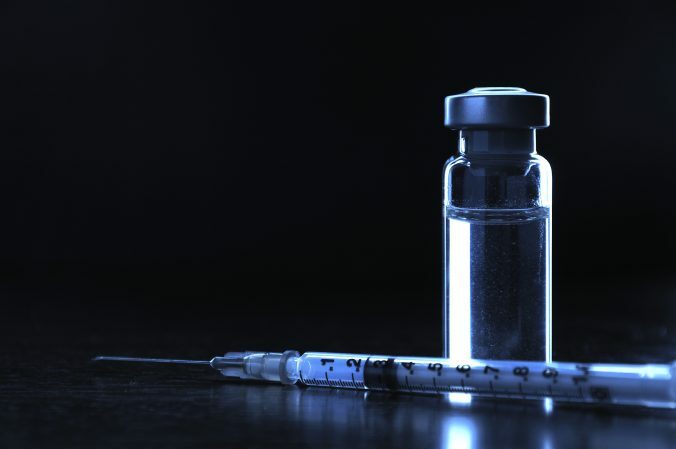 Update–an Italian appeals court overturns this Italian court vaccine ruling because of the lack of scientific evidence. Measles is a totally preventable disease with an extremely safe vaccination. 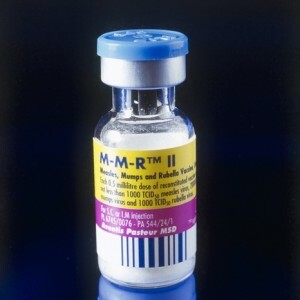 And even though there is a belief that measles is not that dangerous, acute measles has a 15% mortality rate. I see these stories, and I wonder if the anti-vaccination zealots sleep at night knowing the harm they cause.